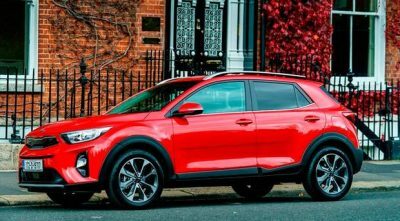 Kia Stonic Review: Is Stonic just the tonic? Is Stonic just the tonic? Kia is getting massive international plaudits for its cars and moving very high on the reliability indexes. However, the awfully named Stonic – a blend of speedy and tonic, if you want to know – aims to capture owners’ hearts and minds as much as international juries. 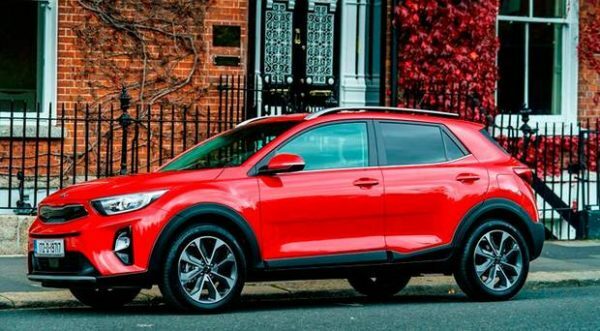 Based on the very successful Rio platform, the Stonic wants to capitalise on the massive growth in the small crossover market which just in the last few weeks has seen the Volkswagen T-Roc, Seat Arona and Hyundai Kona join the fray where already cars like the Citroen C3, Nissan Juke, Renault Captur and Peugeot 2008 have a lot of fans. Some commentators have wondered if they needed to do so as the Rio is already a great car and the Stonic hasn’t the eye-catching looks or size to really differentiate it, unlike its Korean cousin, the Hyundai Kona, which is also a size bigger. However, I think there is massive potential in the Stonic, giving just that bit more while not being in-your-face aggressive. It wasn’t a good week to be testing the Stonic. Our dog was on his last legs and while Sam usually gave a good review of Kia, because of the ease of using his ramp into the back seats, I doubted if his last whispers would be about the car he was wrapped up in. But in the dash across the city to the UCD night Vet Clinic and then picking him up at 6.30am the next morning, the car was just what we needed: Comfortable, accessible and with a first-class navigation system on board. Its bright red colour and pleasant looks even raised good comments from my partner amid her worry over Sam. Yet it doesn’t have the premium feel of the Hyundai Kona which is reflected in the price disparity, yet when you get past the basic cost of €18,599 for the K1 1.2 petrol version, the amounts don’t look so bargain-basement. The higher spec K2 1.4 model is another €2.5k while many will gravitate to the K3 model at €22,599, which was what we were driving. The more zesty K4 model with a very nice 1.0 petrol turbo engine is yet another €2k and has the full array of safety equipment. Diesel models have a €2,000 premium and with a car like this, you don’t want to be going there. There is an automatic on the way and I hope it won’t break the bank. The luggage space is pretty average, but good enough and there is extra under a false floor and at least there was a proper spare. I did like the simple and effective cockpit with its easy to use 7″ touchscreen. Basically I found the Stonic a slick, confident and very precise drive. It would be very easily to live with. However, at the end of the day, it really isn’t that much bigger than the Rio and is very much a matter of being style over substance and perhaps a way of manufacturers taking – as is their right – advantage of a trend among consumers rather than giving anything new. Therefore I am still looking for the perfect small SUV and look forward to testing the VW T-Roc and Seat Arona in the New Year. Yet despite my reservations, the Stonic still deserves to sell well among all the many competitors – although I’m a bit worried about the pricing policy and the name is awful.